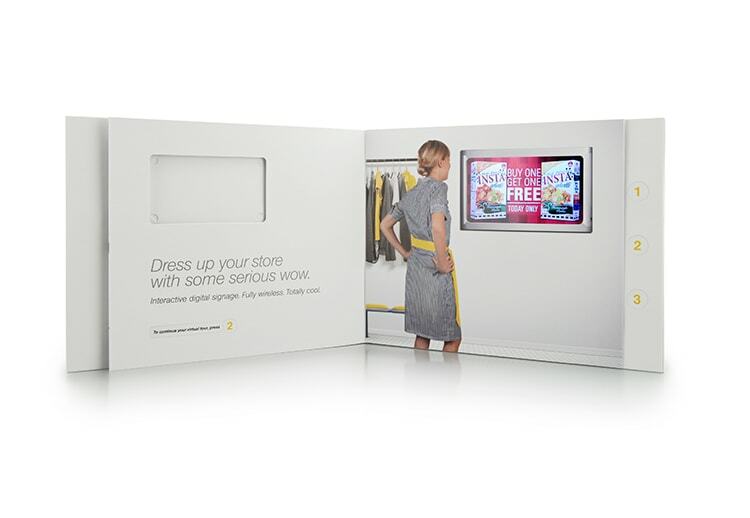 With the evolving advertising landscape, companies are turning to digital signage solutions for there in-store marketing campaigns. The progression from print to digital marketing is still in its early stages resulting in an advertising space that is not fully defined or understood. 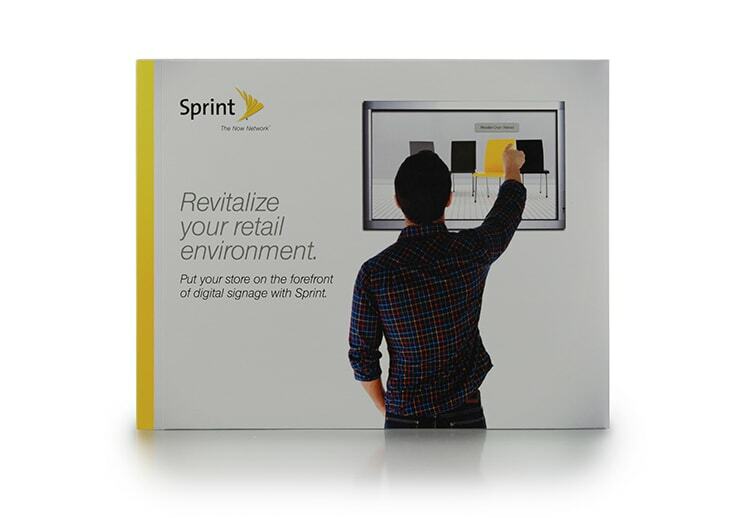 Sprint realized that this evolving digital platform was a prime new market. The challenge was communicating the benefits of a service that many companies may not even be aware they need. How do you communicate a complex message in a simple way? 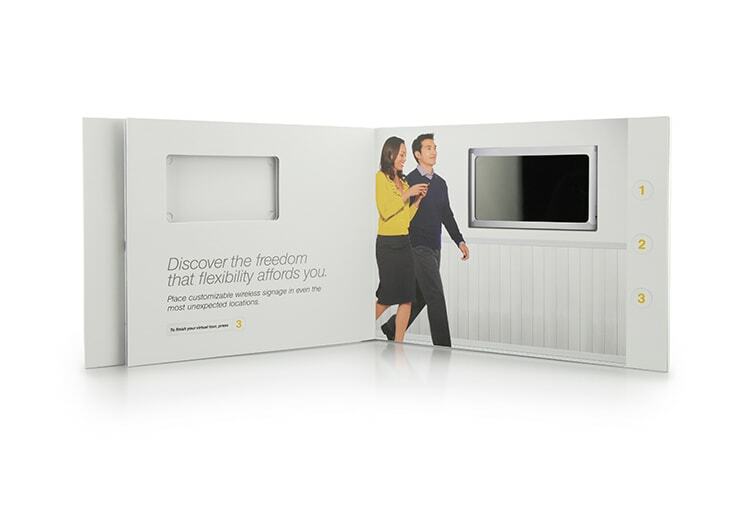 Sprint and its agency, Euro RSCG, turned to Americhip's patented Video in Print technology. 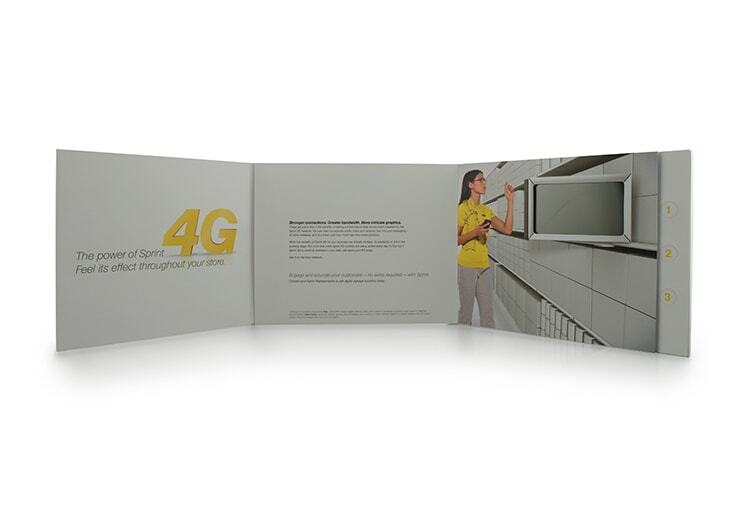 A sales-aid was created featuring a 4.1" LCD screen embedded in a portable and tactile book. The artwork cleverly made the video screen appear as part of the stores digital signage across three different retail environments. 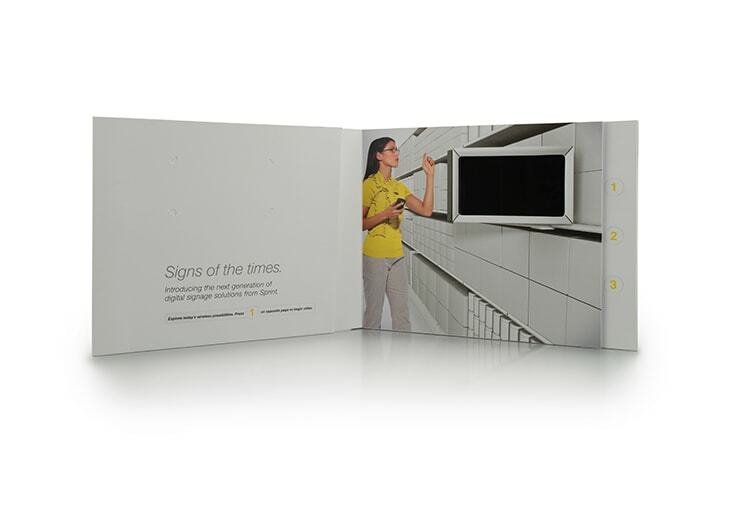 This clever combination of print and digital media effectively communicated the core features of the digital signage industry. 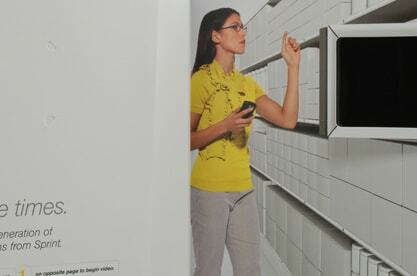 Sales representatives were even able to include there business card directly in the book.